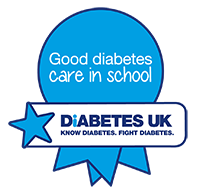 Congratulations to the Good Diabetes Care in School Award holders in London, Diabetes UK officially recognises that these schools deliver effective diabetes care and management. View the winning schools below, and to view the national winners go to ourhonour wall. The school is excellent in supporting my foster daughter. They always keep me informed of any problem. The children are given as much information as appropriate and allow them to undertake as much of their care themselves as is possible. They are doing an amazing job. My son's diabetes is very difficult to control and the staff makes sure he is alright all the time. 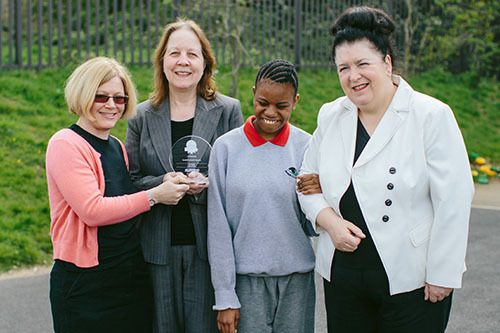 The care is fantastic, nothing is too difficult for them and I feel safe leaving them in school!" Riversdale staff goes the extra mile when caring for their pupils and in this case they definitely deserve an award for their hard work!" They care! They are facilitative and not judgemental. They are respectful of my child's needs and ours as a family. The school has a support group for pupils with diabetes. The school have allowed my son to live a normal and healthy life from the age of 4. The day to day care is beyond exceptional. The school have adapted seamlessly to the care of my son. My son loves going to school. Brilliant support and care from the school. They have a great relationship with the family. My son is one in four children at the school with Type 1 Diabetes. They have an organized system in place for testing and each has their own box for testing supplies. Each room has a medical bay which is taken out to breaktime and any time thye leave the room.I feel very confident leaving my son at school. His day to day care is excelent. He is able to take part in football after school. School has arranged for training with appropriate staff. The school is very supportive and are always willing to learn and adapt their care to each child making sure they never miss out on anything, and are treated the same. They go beyond the call of duty to make sure the children are happy and confortable with their every day care. Downe Manor Primary School has arranged for training for appropriate staff with the diabetes team to manage the child's diabetes. They have also called for advice if there are any concerns regarding the individual health care plan. The school has been very supportive and always there for myself and my daughter. They take onboard anything I have to say, work with me and ensure my daughter is their number one priority. Exceptional care. The school makes sure she can perform to the best of her ability and to advise teachers of where and when she needs extra help and understanding. The school daily plan book for my daughter's insulin and lunch meals. The school regularly contact our team when the patients' BG levels are out of target. Since attenting Sutton, my daughter is happier and her attendence has improved because of the support around her diabetes. The school staff are very good at communicating with the team and the family. They always ask if unsure. Their aim is to ensure the child is included in all aspects of education and is in a safe environment. Very supportive staff. Great school nurse, always caring for my son. The pupils are able to fully participate in school life. School staff are kept up to date on pupils medical conditions.